A lot of children struggle to learn mathematics, and motivating them to study can be a challenge for their teachers and parents. Alexander F.L. 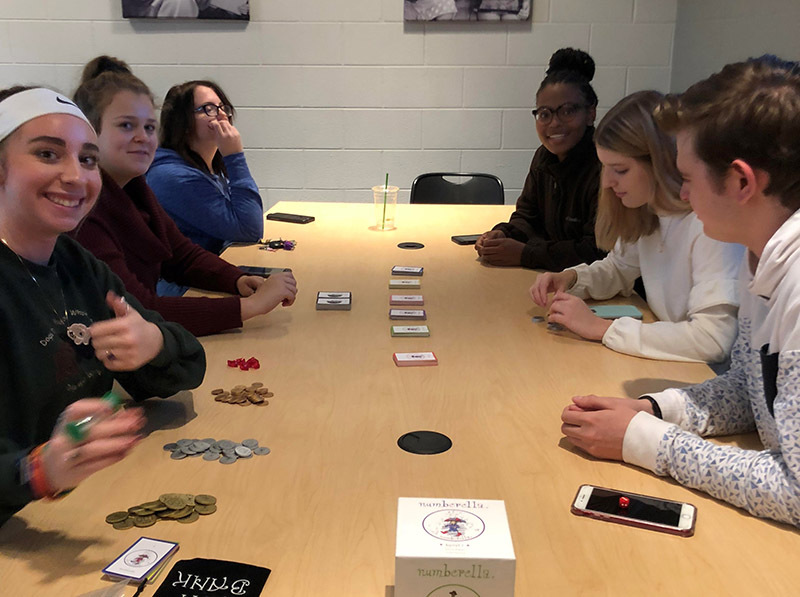 Newberry (2004, Byzantine Studies) has developed an educational game to make learning mathematics easier and fun for everyone. Alexander started tutoring children around 2009, a few years after completing a graduate degree at Exeter College. Very soon he began to develop books to help his students learn. Alexander says, ‘The books were reasonably popular with my students and they began to deliver results, but I also realised that I needed to bring in a motivational element to the programme so I did that by drawing on my experience as a ski racer from my teenage years. 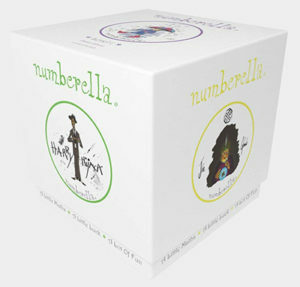 Numberella is a multi-sensory maths game aimed at children aged seven to 12 that makes learning and teaching maths fun. Balancing knowledge with luck, it allows children of different abilities to play together with an equal chance of winning. Numberella began as a collection of questions written on pieces of paper, screwed up and placed in a box. To choose a question the student rolls a die, scoring points if they answer the question correctly. Alexander found that this method of teaching was both popular and effective, and realised it was something he should build on. ‘With the permission of parents, I began to develop the game in tutorial sessions. I kept what my students liked, and moved on from what they didn’t like. Numberella is available in three different levels of difficulty designed to complement the UK mathematics syllabuses for key stages one, two and three. Teachers and parents can also download an app that makes it easy to follow children’s progress, give encouragement, and motivate children through league tables. Among Alexander’s plans for Numberella is a serialised book, which will be available through the game’s app. He aims to make the book available in a wide choice of languages, including Mandarin Chinese, Hindi, and all modern European languages, and is keen to hear from anyone with language skills who is interested in getting involved. To find out more visit www.numberella.club and to buy the game online visit Amazon UK or Amazon USA.